Mikimoto's Morning Dew collection sets an enchanting tone with your style whenever you wear this amazing pendant. The ethereal glow of an 11mm South Sea pearl is highlighted by the sparkle of bright diamonds that are set in the bail, and this fabulous pendant floats beautifully along the up to 18" of adjustable 18kt white gold link chain. 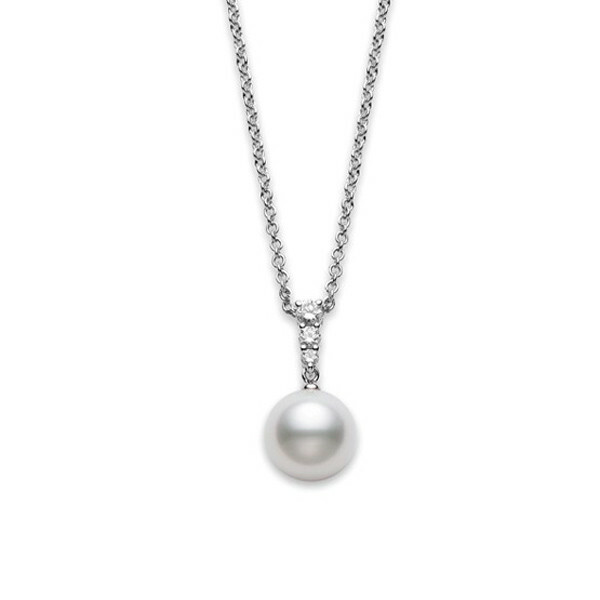 Let Mikimoto enhance your look with a stunning diamond and pearl pendant.